Lenovo's new N20p, announced Monday night, might look like any other compact Chromebook--there are plenty of them, and most are unremarkable. But the N20p offers two distinctive features: First, its 11.6-inch display is a 10-point touchscreen, a display enhancement that only the Acer C270P offers in this size class. Second, the N20p borrows a trick from its Yoga cousins: Its hinge can rotate up to 300 degrees so that you can prop up the Chromebook in a standing position. That's a first for any Chromebook, and it makes the N20p one of the most interesting Chromebook models to come along since last year's high-end Pixel from Google. Now before anyone starts screaming "Chrome tablet!" please note that the N20p can't fold over completely on itself, like Lenovo's Yoga 2 Pro. The hinge rotates 300 degrees, not 360. However, the rotation is still enough to make the N20p a handy notebook for displaying presentations and movies. The N20p and its plainer, cheaper cousin, the N20, are Lenovo's first Chromebooks aimed at the consumer market. For more than a year, the company had bided its time with a single, basic model delegated only for schools. It's generally been difficult to get excited about the 11-inch Chromebooks that crowd the market, and the baseline N20 Lenovo, with no touchscreen and no 300-degree hinge, seems closer to typical for the class. It will start selling for $279 in July. The N20p will start selling for $329 in August. While Lenovo may tweak a few things before these ship dates, the two Chromebooks appear to share the same basic internal specs. They'll ship with Intel Celeron processors and integrated graphics, and offer up to 4GB of DDR3L memory and up to 16GB of onboard storage. Lenovo promises 8 hours of battery life. The Chromebooks support Bluetooth 4.0.2 and 802.11ac Wi-Fi, and each will include two USB ports (one is USB 3.0) as well as HDMI-out. The Chromebooks will also have an SD card slot and a 1-megapixel webcam over the display. Are the keyboards going to be any good? On most Chromebooks, they're middling to awful--very hard and plasticky. 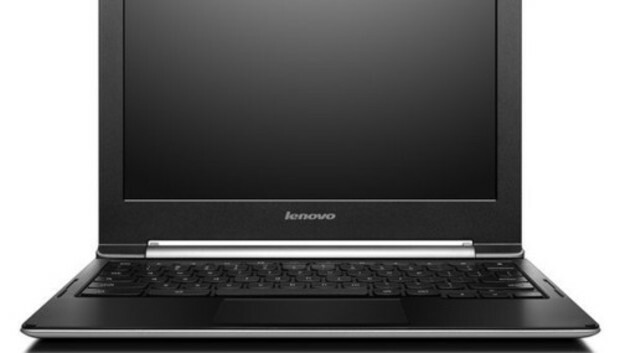 But the N20 and N20p will come with Lenovo's AccuType keyboard, which boast slightly concave key surfaces for easier typing. I use a Lenovo ThinkPad Carbon Touch at work, and it includes one sweet keyboard, with comfortable key travel and intuitive design. I can type on it all day. Lenovo has a reputation to maintain, so I hope the N20 and N20p keyboards won't disgrace the family. The past year has been good for Chromebooks. I've seen models with great aesthetics, like the HP Chromebook 11. I've also seen models branch into larger display sizes--hallelujah!--such as the 13.3-inch Toshiba CB35-A3120 or the slightly larger HP Chromebook 14. Other interesting Chromebooks have been announced recently. Acer just showed off one with a core i3 Intel processor, and Samsung's latest will have an HD display and a cover that feels like leather. The N20 and especially the N20p look like welcome additions to the Chromebook cohort, which is finally starting to look diverse and interesting.